Aerina Delacroix, the wealthy daughter of an influential man, likes to live dangerously. A little too dangerously. When she is thought a traitor and nearly executed, her money and status can’t help her. The only thing that can save her is Marcus Trent. 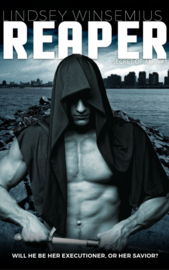 An assassin and head of security, it is Marcus’ job to maintain peace at all costs. But is Aerina a threat to the peace, or just to his ironclad self-control? As the chemistry heats up between the unlikely pair, a real threat to their city is discovered. Will they be able to work together to save Alba? And can Aerina win the heart of a killer?